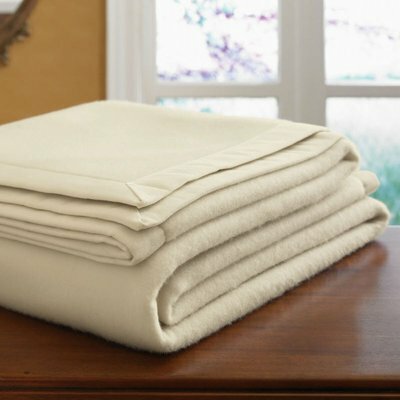 Soft and cozy ivory colored cashmere Queen & King blankets. Exalted by ancient Persians. Coveted by Victorians. For centuries, cashmere has captivated the world as the softest, warmest, and most luxurious fiber in existence. This beautiful blanket woven by masters in Italy from the finest pure cashmere is the ultimate extravagance. Finished with a ribbed woven binding, its an ideal match for Sferra's Ne Plus Ultra collection of 1,020-thread-count sheeting. Pamper yourself in the very best. Available in Ivory. This Cashmere Blanket is available in Full / Queen & King.